Molly Turner is an urban planner and tech policy pioneer. 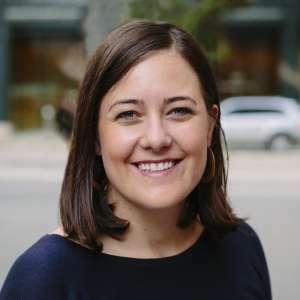 She is a leading voice on urban innovation as a Lecturer at UC Berkeley Haas School of Business and advisor to startups and municipal governments. Turner was an early employee of Airbnb, where she created the company’s public policy team in 2011. As the Global Head of Civic Partnerships, Turner directed the company's partnerships with governments around the world, including Airbnb’s international disaster response program and its 2015 launch in Cuba. Before Airbnb, Turner worked for the San Francisco Mayor’s Office of Economic Development, the UNESCO World Heritage Center, and a sustainable tourism consulting firm. Turner holds a Master in Urban Planning from Harvard University and a BA from Dartmouth College.